How Does Gingivitis Form in Mission Viejo? The most common dental disease in The United States is gingivitis and gum disease. This startles our practice because very few of our patients contract this disease. We are proud to present our clients with all the tools necessary to avoid this issue. How do we keep our clients away from gingivitis? Well let’s discuss gum disease stages. First, it all starts with food deposits. These deposits remain in the mouth, in tiny crevices and along the gum line and between the teeth. From here the saliva breaks down the deposits and creates plaque. Have you ever gone a day or two without brushing your teeth? Maybe when you’re camping, or on a long road trip? You know that very thin film that develops on the teeth? This is plaque and is the basis for bad breath and growth of gingivitis. From here the plaque hardens, and usually concentrates around the gum line, just below the surface of the tooth in the upper layer called gum pockets. This is now called tartar can often cause bleeding gums, swelling of the gums, and sensitivity in the area. How Long Is Gum Disease Treatment? The good news is that gum disease treatment is relatively straightforward and can be handle in a few dental visits. While gingivitis is not a dental emergency, it does need a professional dental hygienist to reverse the effects of bacterial growth. This process removes the plaque and stains from the crown of a tooth. It also cleans deep inside and under the gums to remove the buildup that has developed overlong periods of inadequate dental hygiene. 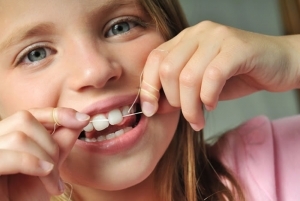 By cleaning out the bacteria that are under the gums, they are now able to reconnect to the root of the tooth. After removing plaque we do a process called polishing. That will remove fine stains and leave the service of the tooth shiny. Ongoing fluoride treatment will also be recommended. Some things that our clients never experience are tooth pain and toothaches. This is because we enforce a strict regimen of coming in often and allowing oral evaluations to take place. The best medicine is preventive and we can let you know what to do for a toothache. It is due to our philosophy and our approach in preventing complex dental treatments that we consider ourselves to be the best dentist in Mission Viejo. It is our daily duty to come into the office and carry on our mission and spread our philosophy to existing and new patients. If you are interested in our dental approach to preventive dentistry, use the form on our About Us page to schedule a first appointment. At this meeting we will get to know you, do a quick an oral evaluation and let you know the steps that can be taken to get your dental health to 100%!